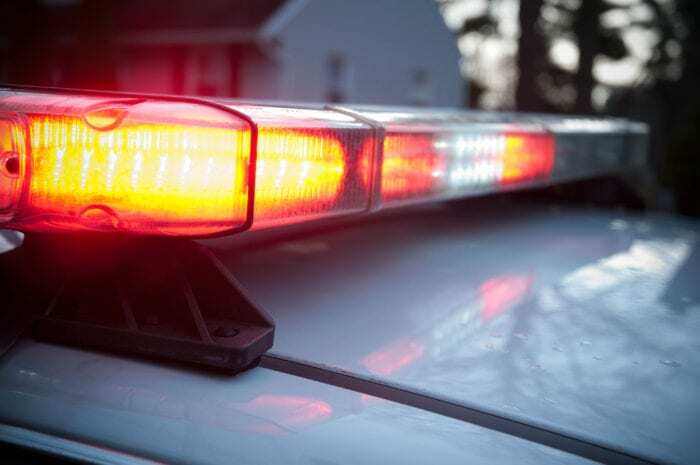 COLONIE — A police officer was in a motor vehicle accident on Wednesday, Jan. 30, while answering a false alarm at a Capital Region BOCES office on Watervliet-Shaker Road. According to Lt. Robert Winn, police received multiple reports from people at BOCES reporting there was an active shooter in the building, and that many people were barricaded in rooms. It was not an actual event, though, it was a scheduled drill of the emergency broadcast system at a different BOCES building that triggered a false report at the building located at 900 Watervliet-Shaker Road. Numerous officers assisted in locating and removing about 100 people from locked/barricaded rooms inside the facility and the process of checking the building took about an hour. It was not a classroom building at the school, and at no time were students involved. Rather, it is an administrative building with offices and conference rooms. There were no injuries, but on his way to the scene at around 2:50 p.m., a police officer hit a car he was trying to pass a car on Sand Creek Road and ended up hitting a telephone pole. The motorist was not hurt, but Patrol Officer Erik Nielsen suffered a head injury and was taken to Memorial Hospital for treatment. He has since been released. No charges were filed in the accident and it remains under investigation by the Colonie Police Department Traffic Safety Unit.